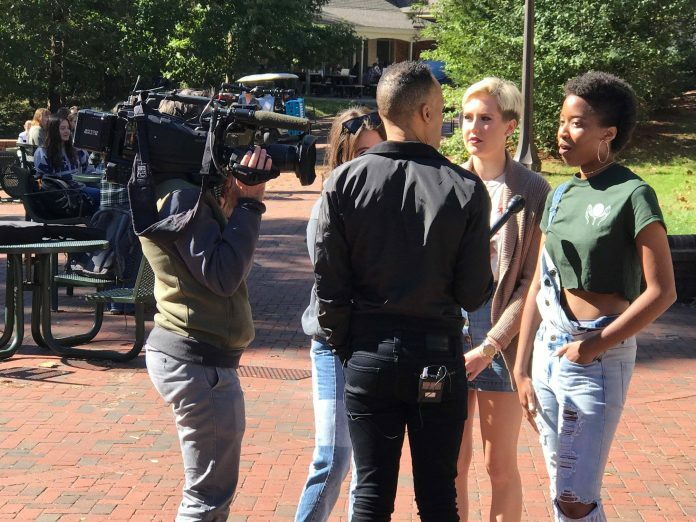 Over 1,000 students took a pause in their day to register to vote at the College of William and Mary this election cycle. This was largely due to the work of NextGen America, a progressive organization that tabled around campus. NextGen Virginia Communications Fellow Robert Ostrom discussed the long-term goals of NextGen and the importance of its relationship with its younger members and volunteers. As the voter registration deadline in Virginia passed Oct. 15, all efforts have been turned to ensuring a good voter turnout in the midterms, according to NextGen Virginia Campus Organizer Olivia Thomas. In an email, Ostrom said that NextGen Virginia helped 1,114 students at the College register during this election cycle. According to Ostrom, the organization has also helped over 25,000 people aged 18-29 register to vote in Virginia thanks to the work of over 800 active volunteers. According to an article from TargetSmart, Virginian voter registration in the 18-29 age bracket has increased 3.41 percent, and voter turnout in Virginia increased from 0.5 to 3.6 percent between the 2017 and 2018 primaries. Thomas talked about the importance of students having a plan for how and when they will physically get to the polls and vote on election day. For NextGen, efforts to increase voter registration and turnout among the youth isn’t just about tabling itself but who is doing it. NextGen Virginia Fellow Annaliese Estes ’21 talked about the importance of student volunteers running the tables on campus. “… When it’s your peer, I think you feel more comfortable doing that with them, and also because it’s someone you might recognize or see around or even be friends with, it’s harder to say no,” Estes said. Thomas shed light on the action NextGen is taking outside of tabling and registering students, noting that the organization has collaborated with other student organizations and has had College professors help provide information to students. NextGen is not the only program encouraging political participation on campus. Vote Chair of the Asian and Pacific Islander American Vote JD Damarillo ’21 talked about the growth of his organization as one that participates in pushing voter registration at the College. Damarillo said that as midterm season has progressed, he has noticed more enthusiasm among voters, and he emphasized the importance of reaching out to voters through voter education events. Young Democrats Secretary Louisa Janssen ’21 noted that her organization does not participate directly in voter registration and instead focuses on spreading awareness about local races. Because NextGen prioritizes voter registration, Janssen said that Young Democrats, which focuses instead on canvassing, does not work with them directly. However, she emphasized the importance of collaborating with NextGen to improve overall education about voting at the College.